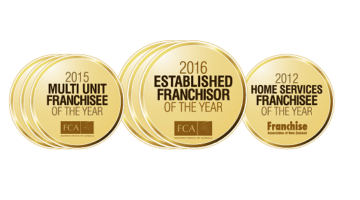 In addition to being an award-winning franchise network with more than 25 years’ experience under our belt, Poolwerx offers a range of practical and tangible benefits to all our Franchise Partners. Whether you’re considering joining the Poolwerx network with your existing business or you want to start a new business as a Poolwerx Franchise Partner, there are plenty of reasons to choose Poolwerx as your franchise of choice. Our world-class training and support is one of the hallmarks of franchising the Poolwerx way. Your success is our success, so we invest in your ongoing training from day one for you and your staff. Add to that our expert support in everything from maintenance advice to IT troubleshooting and even HR, and it’s clear to see how we make it as easy as possible for our Franchise Partners to succeed and flourish in their businesses. Learn more about our world-class training and support. Staying at the top of your game in an increasingly cut-throat world can be difficult. But with the backing of our substantial negotiating and buying power, it’s easier to maintain your competitive edge. Even better, our suppliers don’t simply provide you with affordable Poolwerx-approved products that have undergone our rigorous testing process – they’re also available to speak to you directly and support you in adding value to your business. Read more about the advantages of our purchasing power. In business, branding is everything. With Poolwerx, you’ll benefit from being part of a recognized global brand known and respected for its first-class aftermarket pool services and products. Compared to operating on your own, it’s like putting your business into overdrive. Underpinned by a family of Franchise Partners who live and breathe our values, our brand strength is one secret of our success. Effective marketing is the best way to drive new business to your door (or service vehicle). But effective marketing can be prohibitive for any solo business. As a Poolwerx Franchise Partner, we support you to grow your business and brand with comprehensive marketing campaigns and assistance with regional and local marketing. Find out more about Marketing support. The power of franchising the Poolwerx way encompasses all of the many benefits of franchising with us. It includes on-hand assistance and support, comprehensive marketing, ongoing training, substantial buying power, business coaching, accountability, tried and tested business development and more.